Wilson Creek | how 'bout some cake? This past weekend about a dozen of my friends and I piled into a party bus and headed to wine country. 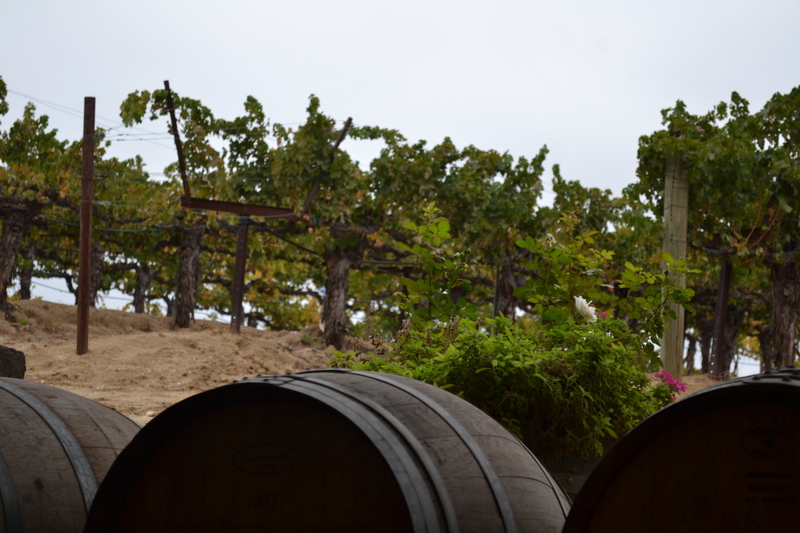 We drank and chatted and a little over an hour later, we pulled up to Wilson Creek Vineyard in Temecula. Gorgeous, isn’t it? Perfect spot for a wedding, in my humble, wine-loving opinion. 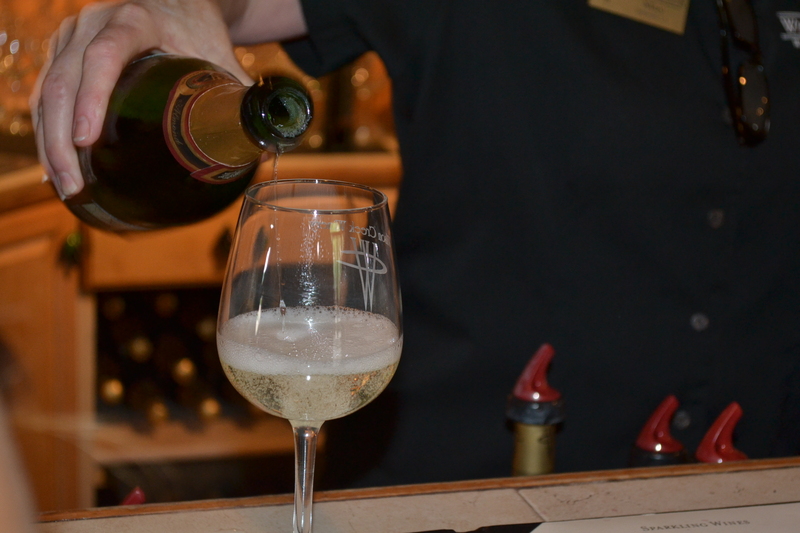 We bought our tasting tickets and headed through the gift shop to the tasting area in the back of the building. 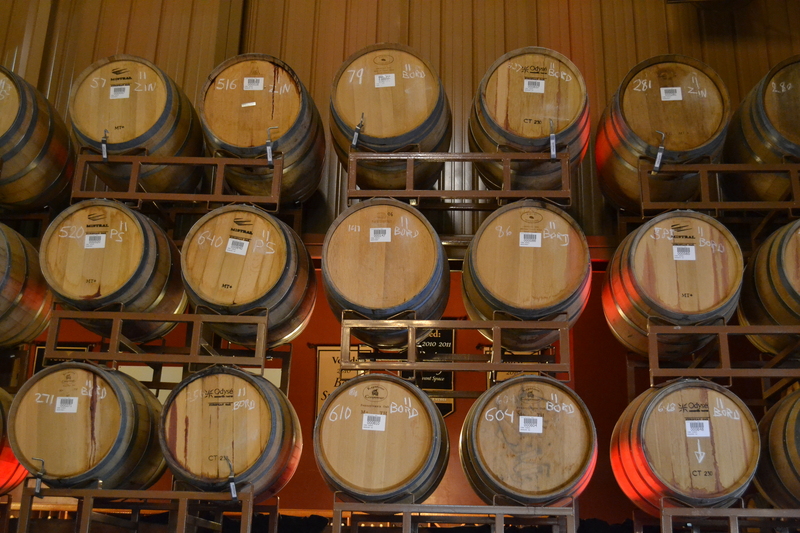 There were wine barrels stacked to the sky and tasting stations scattered throughout. I looked around and pinched myself. Yup, still alive. We each got five drink tickets. I started with the almond champagne. It was nutty and slightly sweet with all the effervescence you’d expect from a sparkling wine. I enjoyed it a lot. They also served bellinis and mimosas created with it. I saved the rest of my drink tickets for reds, but Jason got one of the bellinis and I stole a sip. It was delicious. The tasting room spilled out into a tented area with tables and more tasting stations. We ended up congregating there, where the boys could smoke stogies while their wives stole their drink tickets. My favorite red was a blend called “Molly’s Medley” (Molly being the plantation’s pet pig). I could have stayed all day. They practically had to drag me home. Next time, I might bring a sleeping bag! At least a bottle of almond champagne came home with us, so the fun hasn’t quite ended yet! I hope we go back to Temecula soon. This entry was posted in Cocktails, Food & Recipes, Indulgences, Travel and tagged California Wine, Temecula, Temecula vineyard, Travel, vineyard, Wilson Creek, wine tasting. Bookmark the permalink. I know. Looking back, there are so many things I would have done differently… and so many things I wouldn’t change for the world. Like, I would have gotten a professional haircut. But the “you must pick up that broken glass because children will play in that round-a-bout tomorrow” story- priceless! What a fun day! 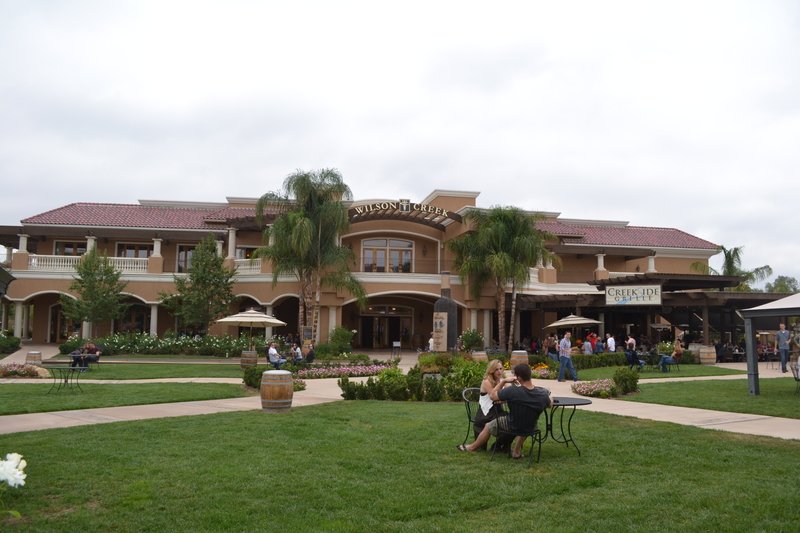 I’ve always wanted to go wine tasting in Temecula!! 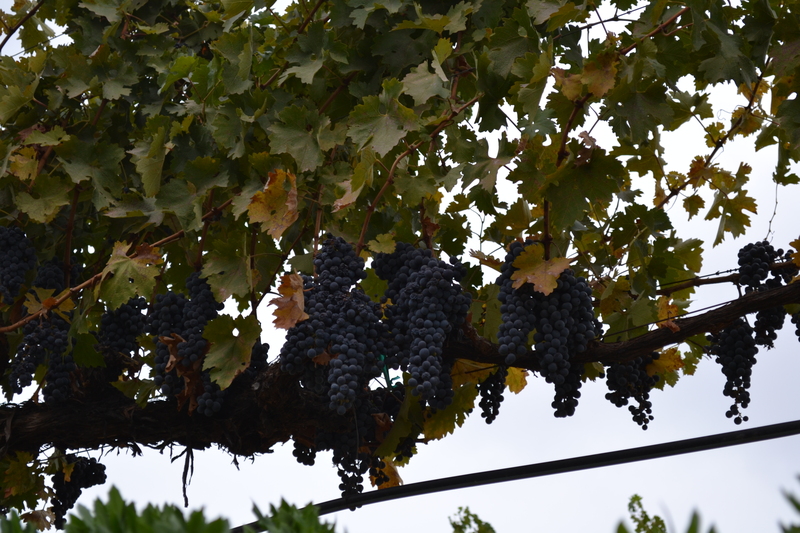 I’ve been dreaming of a trip to Northern California wine country for ages! Soon, I hope! 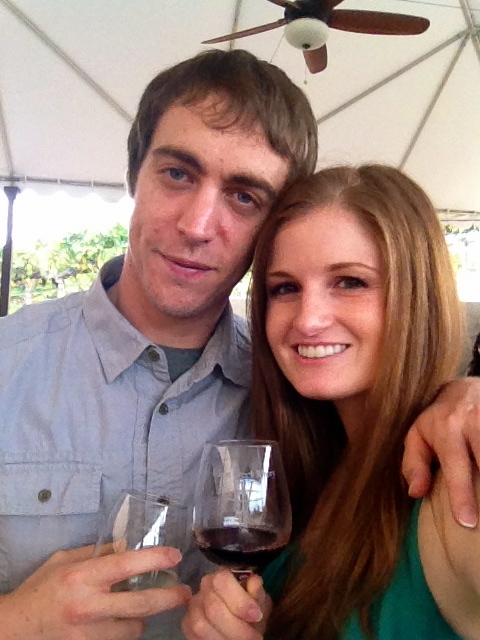 I’ve never been to a wine tasting/vineyard/anything of that nature but have always wanted to. This summer I want to plan one with my girl friends! You’ll have the BEST time! I highly recommend getting a limo (or bus, if you have enough people). You can pre-game on the way up, and everyone gets to drink! Well worth the extra money. What a beautiful winery! 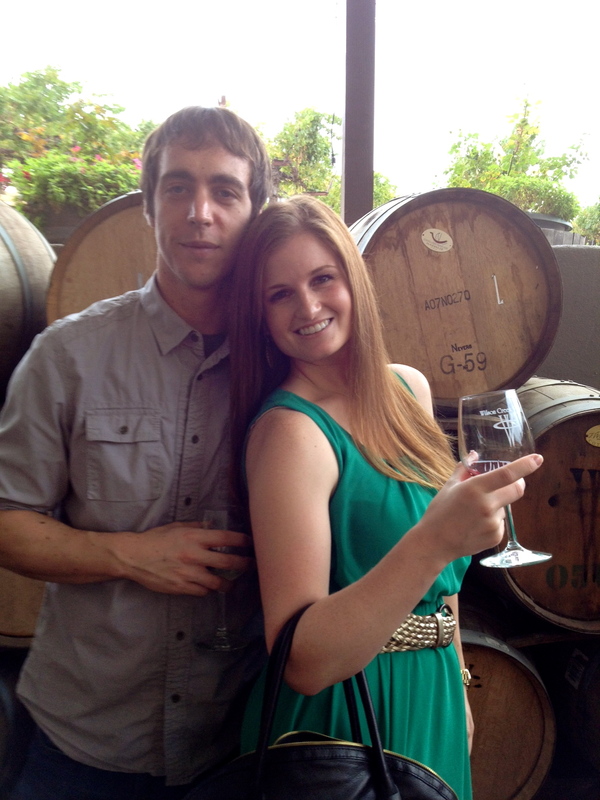 I love touring vineyards and trying out some new wine! It looks like you had lots of fun! I love the place! here in Spain we have many beautiful and traditional wineries as well, it’s such a great activity! lovely blog!